There are so many benefits associated with undergoing massage therapy, and that is the reason why you can find so many options to get relaxation massage in Richmond VA. While not all of them are licensed massage therapists, it certainly shows that more and more people are now interested in using massage therapy to promote wellbeing. In today's world, it is not possible to live your life without being exposed to severely stressful situations, but it all comes down to how you manage those situations. You need to do everything you can reduce stress, and relaxation massage therapy can certainly help. You can try many relaxation techniques, like yoga, meditation, and so on. These techniques certainly help, but if you are looking for something that works even better, you may want to try a relaxation massage. Regular relaxation massage can help you in many ways. It can improve your sleep quality, increase energy, and boost your immune system at the same time. It increases concentration and improves your overall mood. A relaxation massage is basically for the purpose of rest and relaxation. What it means is that though it offers many health related benefits, it is not designed for therapeutic benefits. This is where it is different deep-tissue massage and other massage forms that make it easier for you to deal with chronic pain and discomfort. A relaxation massage session is only going to make you feel relaxed, both mentally and physically. During a massage session, you usually need to remove most of your clothing and lie on a table. You will be covering your body with a sheet while getting the massage. Depending on where you go to get a massage, you can try many different options and have your massage session tailored to your specific requirements. There can be music of your choice, candlelight in the background, or other things to make it more relaxing. It is also possible to turn your relaxation massage session into aromatherapy treatment by using some high quality aromatherapy oils. These oils can significantly improve the holistic experience of the massage. 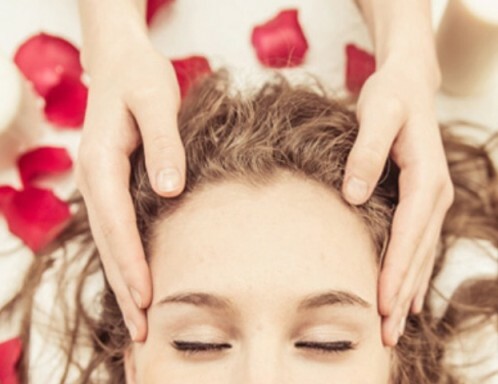 An important thing about a relaxation massage is that while the massage therapist will manipulate the tissue, they will only use gentle pressure. The pressure will never be as much as you experience during a deep tissue massage. A relaxation massage does not involve more than a gentle kneading and rubbing of the outermost layer of your body tissue. The fact of the matter is that when you find it difficult to deal with endless personal obligations, high-stress jobs, and money worries, you need to give you a break and get a relaxation massage by a certified massage therapist. You can find many options to get relaxation massage in Richmond VA, but be sure to spend some time on the internet looking for information about the best therapists in your area. Only the ones with good training and completely knowledge of different massage forms can help you get maximum benefits.